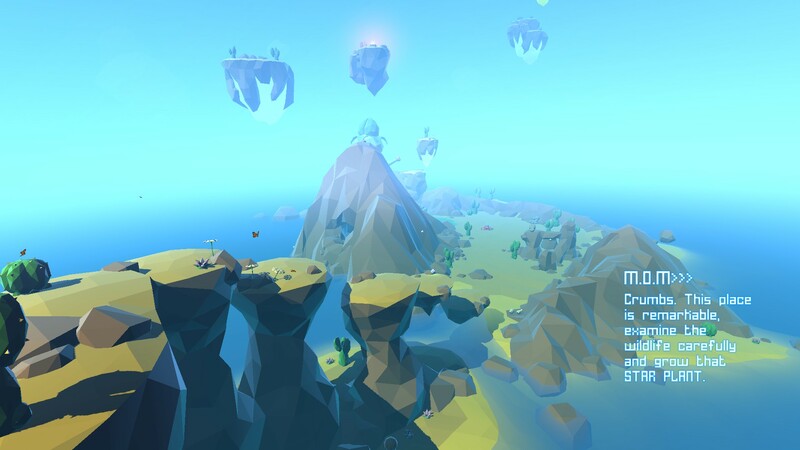 The Refined Geek » Grow Home: Let’s Get Waaaay Up There Bud. 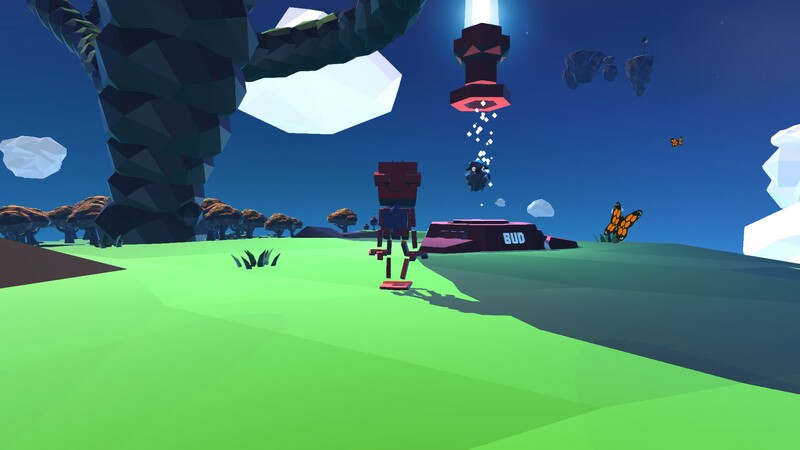 Grow Home: Let’s Get Waaaay Up There Bud. Puzzlers are something of a mainstay of the indie community thanks to their relative simplicity and large amount of creative freedom they offer the developer. That being said it means that the same generic mechanics tend to crop up quite often and unique puzzle mechanics are few and far between. There is a lot of innovation in the indie scene however and every so often it manages to create a gem of a puzzle game that provides a fresh take on the genre. 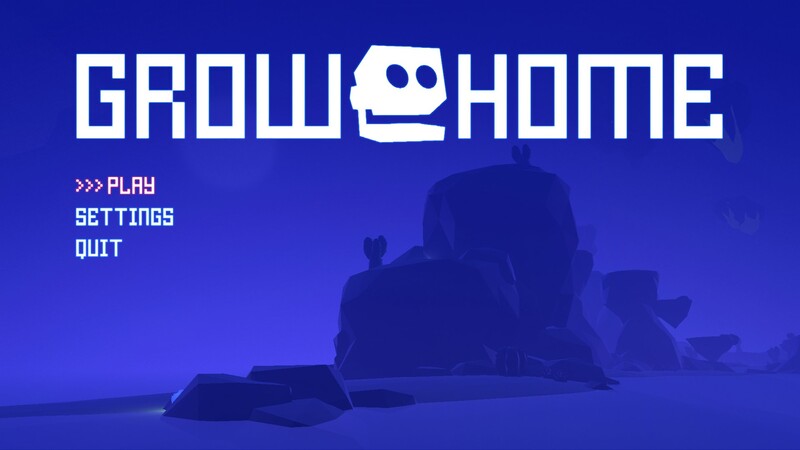 Grow Home is one such game, taking the more traditional 3D puzzler and shaking it up with some interesting game mechanics and a certain sense of charm that makes it a delightfully fun game to play. You are BUD, the Botanical Utility Droid, who’s been sent on a quest to harvest star seeds from the elusive star plant found on some planets. Your ever watchful parent ship MOM has located one of these plants and has sent you down to the surface to cultivate the plant. Now it’s up to you to grow the star plant up to its optimal height, 2 kilometres tall in fact, so that it will blossom and produce those wonderful seeds that you’re looking for. MOM has sent down some resources for you in preparation for your journey and you’re going to need every single one of them if you are to grow this plant to any height. Grow Home is a styled in a beautifully minimalistic way, using extremely low poly count models and, if I’m not mistaken, eschewing any kind of textures in favour of just solid colour polygons. It is lavished by a lot of other effects though, like distance hazing and night/day cycles, so the minimal polygons end up looking a lot better than you first expect them to. The game touts the main character as being “procedurally animated” which means that it attempts to move in a certain way based on the inputs which, for the most part, works and adds to the whole bumbling charm of BUD although it sometimes wigs out and causes all sorts of mischief. This is most certainly intentional though, as is most of the emergent behaviour you’re able to invoke in this world. Your task is very simple: grow the star plant to the requisite 2000m height and then gather a star seed from the flower on the top. To do this you’ll need to guide the little stems on the star plant to energy rocks which give the plant a burst of energy allowing it to climb to greater heights. However to get to all these energy rocks you’ll need to climb the plant, inching ever higher in order to get to the next rock. This means, of course, that the higher you go the more you have to lose should you fall as one misstep can send you tumbling back down to earth with only a few things to stop you from making BUD jam on the ground below. There’s also other objectives for you to complete which tempt you to take even greater risks but should you get them it could be well worth the effort. Grow Home tells you at the start that it’s better played with a controller and whilst I’m usually a stickler for keyboard and mouse I’m inclined to agree with the devs here. You see in order to climb you have to press and hold the mouse buttons, something that’s a little fatiguing after a while. A controller by comparison, especially the current gen designs, are much easier to deal with in that regard. That being said I didn’t have many climbing related incidents due to finger fatigue but it would’ve likely made the whole experience a little better. Once you get the hang of making sure that you have at least one hand connected to a surface the rest of the climbing flows pretty well, save for some times when the procedural animation engine tries to reach beyond BUD’s grasp and just leaves him reaching for a goal he can never get. The few other mechanics are great little quality of life additions, with the flower and the leaf ensuring that one misstep doesn’t cost you the last 10 minutes progress. The crystal upgrades are also well worth it, making the whole climbing process a lot easier and quicker. I only got up to 30 something crystals before I finished the game but those improvements were certainly worth the effort. If you’re so inclined you can bring stuff to the teleporters and have MOM scan them for some rather comical data bank entries for you to read although since I’m not usually a “collect all the things” kind of player I left it to one side, only bringing things in that were nearby. Suffice to say that there’s a lot of stuff to keep you entertained in here should that sort of thing appeal to you. Grow Home runs smoothly thanks to its low polygon use however the Unity engine its running on, for some reason, really doesn’t like being alt-tabbed out of. This highlighted another rather annoying issue with the game’s save mechanism as it doesn’t save anything unless you hit the save and quit button in the menu. I lost the first 30 minutes of my initial game because I alt-tabbed to check something and then couldn’t get back in, putting me right back at the start. There’s no option to run in fullscreen windowed either, something which would render my frustrations moot. Grow Home is a delightful platform puzzler with gorgeous minimalistic graphics and a fresh set of puzzle mechanics that make it a joy to play. If you’re like me and play games to completion then the asking price might be a bit rich for the 2ish hours of game play it delivers but there’s certainly a lot more to Grow Home than just getting your hands on the star seed. That being said I still really enjoyed my time with Grow Home as it’s so far away from everything else I’ve played recently. 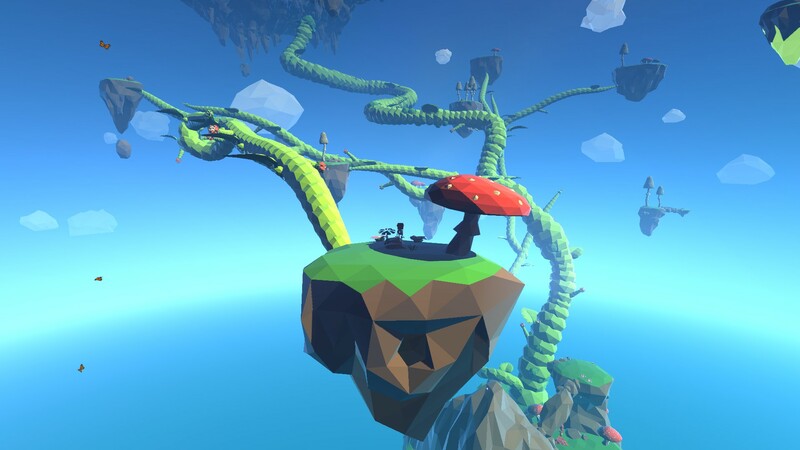 If you enjoy a good puzzle game then you can’t go past Grow Home. Grow Home is available on PC right now for $9.95. Total play time was approximately 2 hours with 15% of the achievements unlocked.